BENJARONG TEA CUP DEPICTING THEPANOM ANGEL/FLOWERS, 18TH CENT. 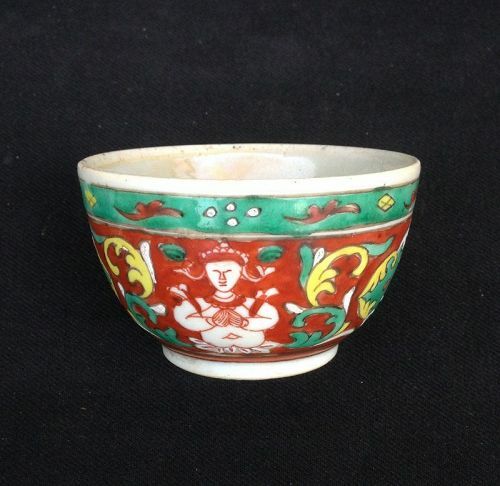 A rare BENJARONG POLYCHROME TEACUP, specially made for the Siamese Court and Nobility, late 18th Century. Good condition overall, has one inconsequential hairline. Tested with hot tea for 2 hours: does NOT leak! 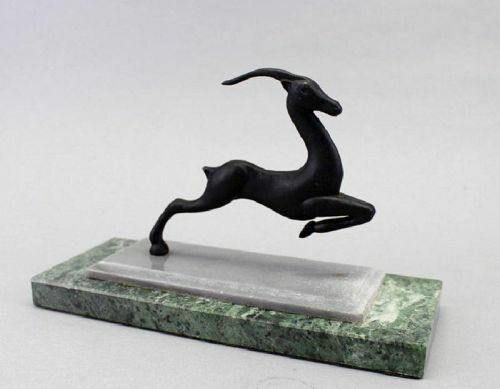 Size: H. 5.5 cm. 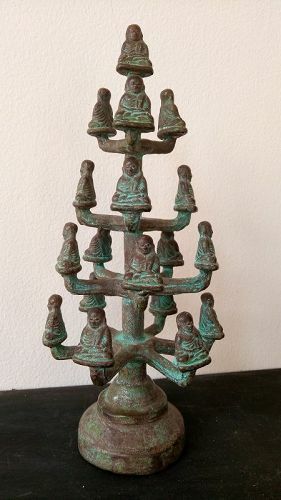 x 9 cm. diameter. A serene 16th Century SHAN BRONZE BUDDHA, Subduing Mara Position with a gentle expression. Good condition. Size: H. 16.3 cm. x W. 9 cm. 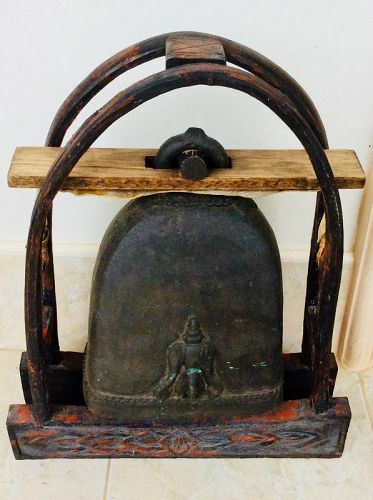 A beautiful vintage BRONZE ELEPHANT BELL. Has an elephant logo depicted on the bell as well!! Size 47 cm. Comes with a wooden display stand. Rare item nowadays,! 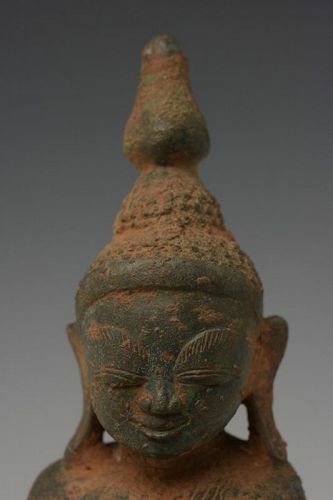 A LIAO DYNASTY Terracotta Tsa-Tsa Votive Buddhist Plaque, China, AD 907-1125, with fine details. 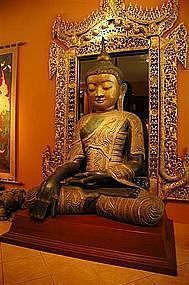 Nicely mounted on a wooden base. 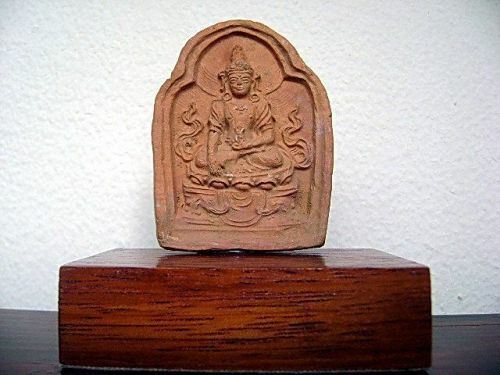 From a group of varied tablet sizes that were excavated, most likely from the foundations of an ancient Buddhist temple, placed there to ensure success and prosperity. Condition very good. Size 2.5" (6 cm.) No restorations. whatsoever. A very rare, genuine and valuable Imperial Qing Dynasty Porcelain Powder-Blue/Ultramarine Bowl, 18th Century, China. Excellent condition, no hairlines, chips, cracks or restorations whatsoever. 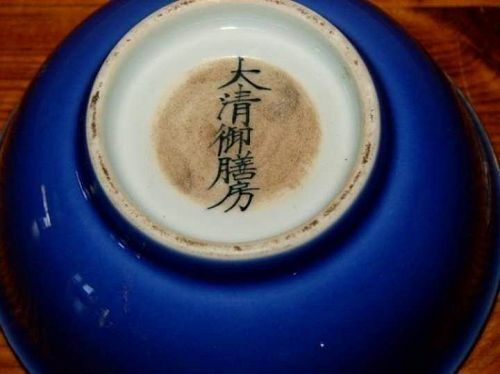 Markings on base in calligraphy "Da Qing ya Shan fang". Size: 11.2 cm x H. 5cm. For sale, open to serious offers only. 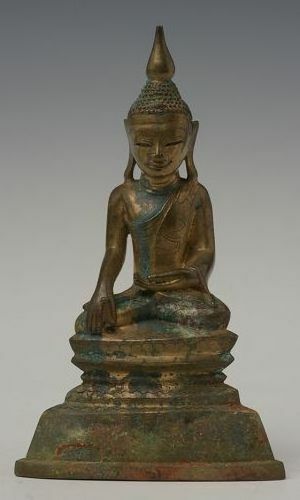 LOPBURI KHMER BRONZE BUDDHA 12/13TH CENTURY AD. 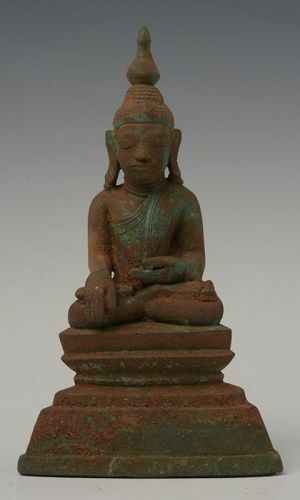 An excavated and cleaned bronze LOPBURI KHMER BUDDHA, 12/13th Century in deep meditation position. Size: height 7" x 4.75" at base. 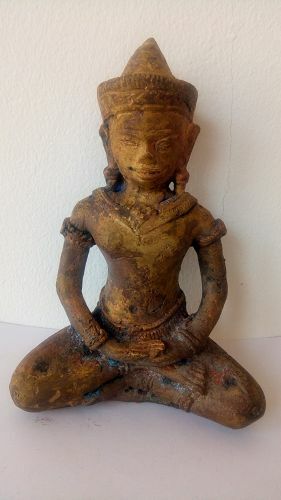 No restorations whatsoever, some natural climatic wear, but intact figure. Rare item! 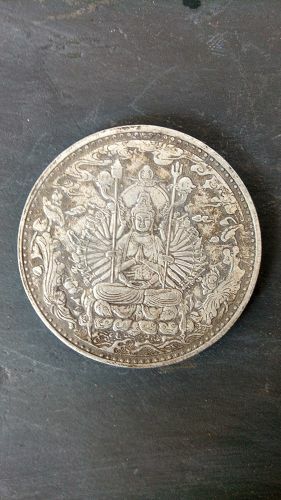 Chinese C. Silver Coin, collector's item. Good condition overall. 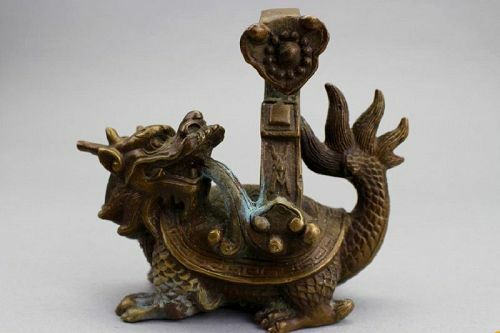 A fine ancient Chinese C. Silver Coin. Good condition overall. Collector's item, rare! 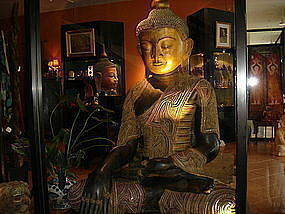 Magnificent and rare AVA 3-Seasons Bronze Buddha subduing Mara with serene and calm expression, downcast eyes. 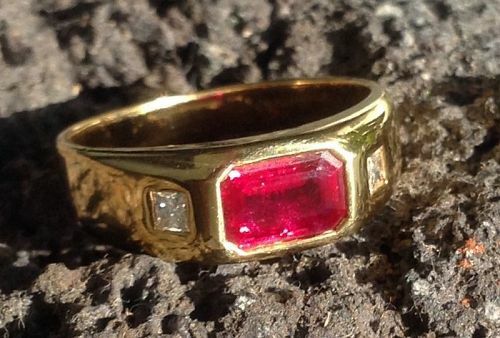 Has an exceptional aura and superb red/gold patina. Good condition, size: H. 78 cm x W. 47 cm. 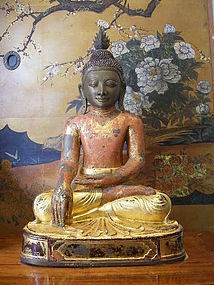 x D. 36 cm.